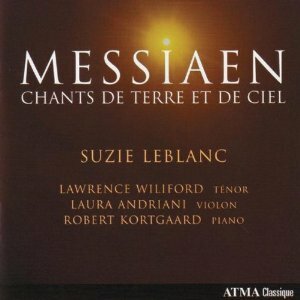 Messiaen: Chants de Terre et de Ciel | Lawrence Wiliford | Dispeker Artists, Inc.
ATMA celebrates the centenary of French composer Olivier Messiaen. Wiliford joins Suzie LeBlanc, Robert Kortgaard, and violinist Laura Andriani for Messiaen’s cantata, La Mort du nombre. 2008-09 OPUS prize award winner for contemporary CD of the year.